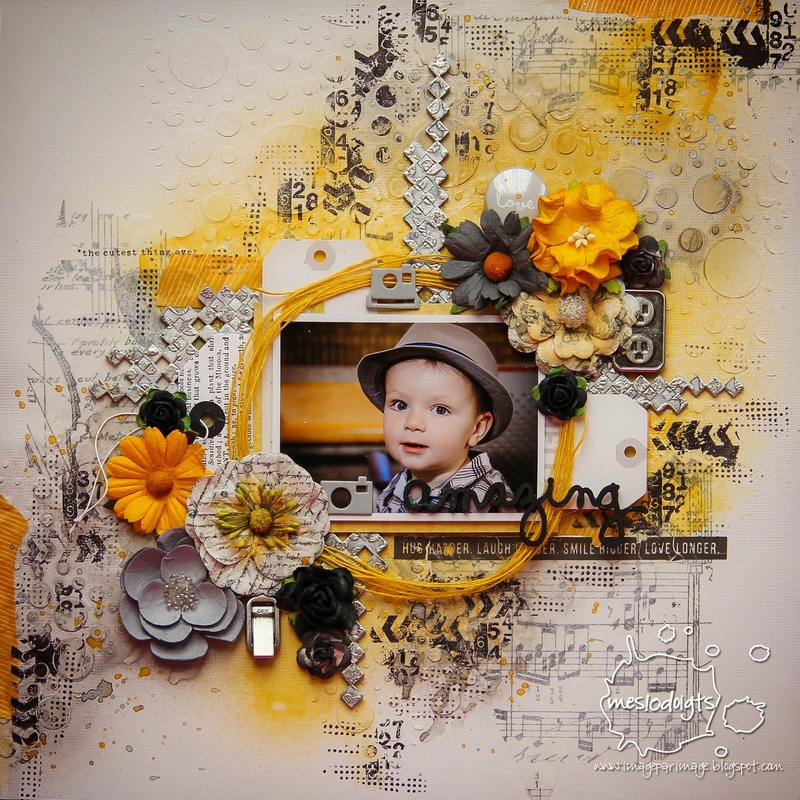 Karine here today to share another layout using tons of yummy Shimmerz Paints products. 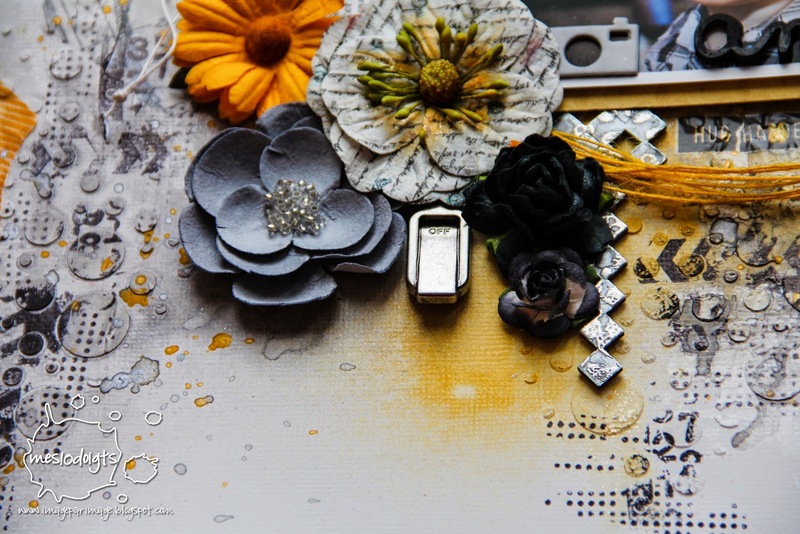 I started out with a plain white cardstock on which I glued some Tim Holtz tissue paper. I then applied a thin coat of white gesso and modelling paste through a Prima stencil. Next come my favorite part: the colors. I went with a yellow and grey color combo this time. I used Spritz in Tuscan sun and Truffle as well as Vibez in Sunset Strip to color my white background. 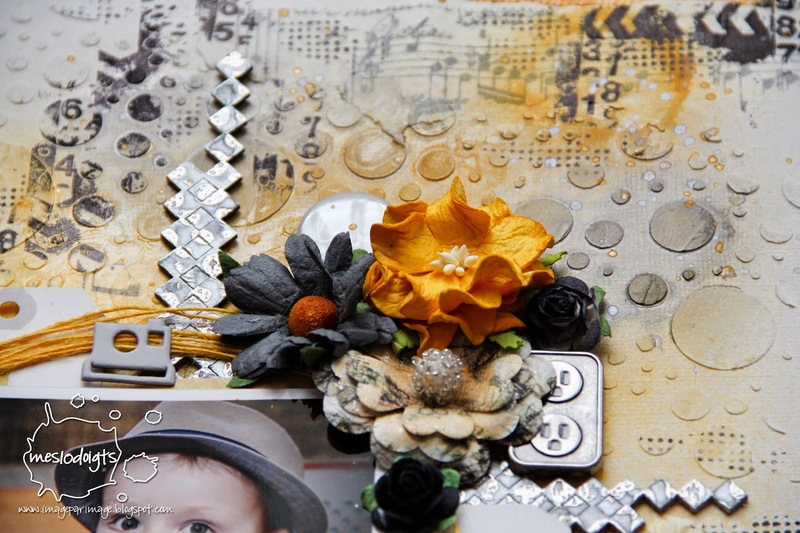 For my chipboard, I wanted to create the look of liquid metal, or something similar. I started out with a coat of Creameez in Ride the Tide, to give a nice blue undertone... On top of it, I stamped with Versamark ink and added embossing powder. To make it match with the rest of the layout, I misted it with my Spritz in Truffle. I LOVE the result! This layout is fantastic. 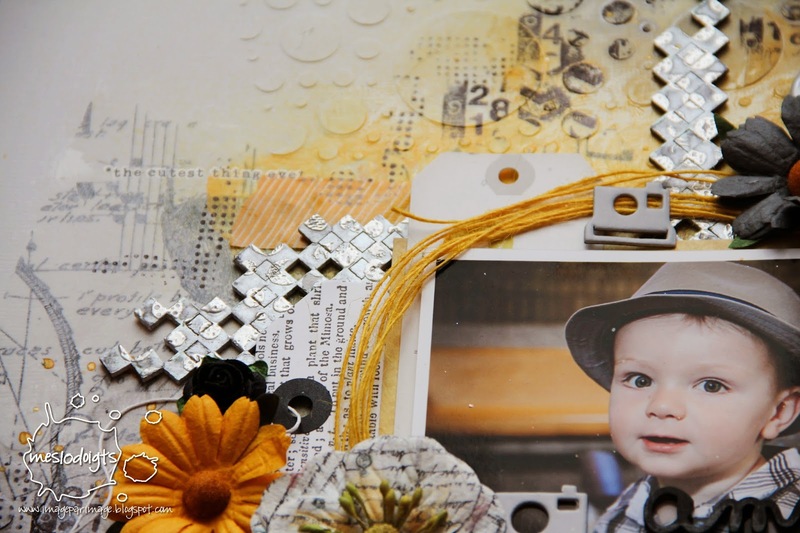 I love how you made the chipboard look metal. Really wonderful job. Love this layout. Every detail is amazing! !